It is no secret that in a modern world where many people have the option of shopping from the comfort of their homes that having a high-quality e-commerce platform can help a business stand out from the crowd and increase revenue. Once a company decides to establish an e-commerce platform, they must face an important decision: will the platform be an off-the-shelf solution or one that is custom - built? A majority of off-the-shelf e-commerce platforms on the market follow a software as a service (SaaS) model where the software is provided to you, usually in exchange for a fee, and it is hosted by the issuing company on their server. A SaaS solution is usually more affordable and easy to use as you will not be responsible for writing lines of code or doing maintenance because the updates are automatically applied by your host server. 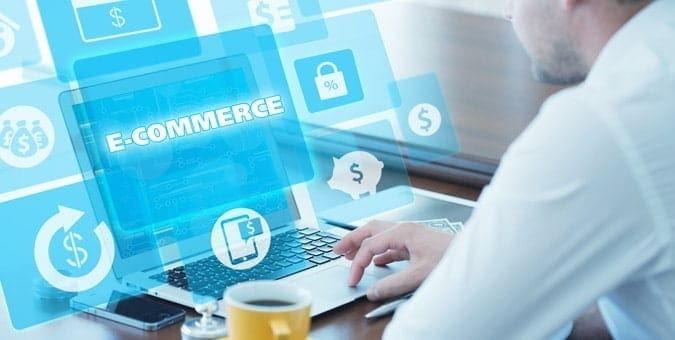 However, with this solution you will not have ownership of the source code, you will be expected to abide the hosting company's rules, and you can only make limited edits or customizations to your e-commerce portal. There is far more freedom with a self-hosted, custom-built e-commerce platform, but that freedom comes with additional responsibilities. For example, with this solution, you and any developers you hire will be responsible for maintaining, updating, and optimizing your platform. Yet, on the plus side, you can decide how and when to optimize your website to offer a unique user experience for your customers. For a vast majority of businesses starting out with e-commerce, an off-the-shelf solution will work out just fine in the beginning. But as the business grows, it may begin to hinder expansion or even put your business at a competitive disadvantage due to limited tools for optimization. It is at this point when businesses typically begin to look to a custom, self-hosted model only to realize moving off a SaaS platform can be incredibly expensive in terms of time and money. To avoid incurring steep costs and operational downtime for your e-commerce site, going with a custom-built platform will prove to be more beneficial in the long run. Although it requires slightly higher initial investment costs and a great deal of maintenance, businesses can cut development time by hiring certified developers who will provide their expertise and support to get the platform on the market faster so your business can reap rewards quicker.